Home > Google News > Misc Google > Foggy Google Maps Satellite Pictures? 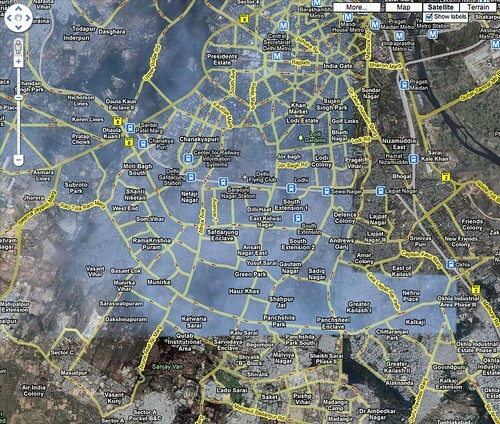 If you check out New Delhi on Google Maps, you will see a big fog hovering over the location. Why is that? A Google Maps Help thread reported this issue this morning. A few hours later, Howard from the Google Maps team replied, "Thanks for the report. We will look into this." Have you see major clouds or fog in Google Maps before?